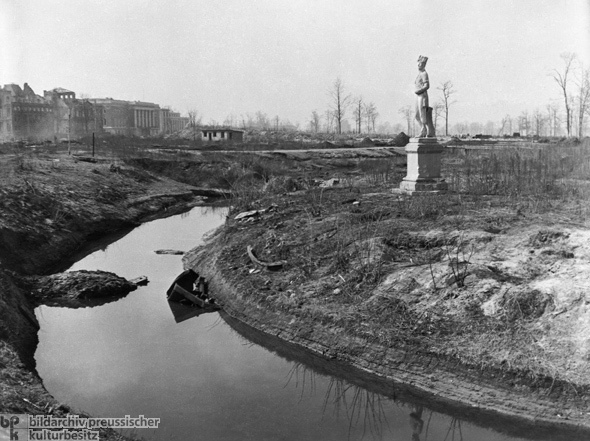 A lonely marble soldier in Berlin’s ravaged Tiergarten surveys the ruined landscape that surrounds him. 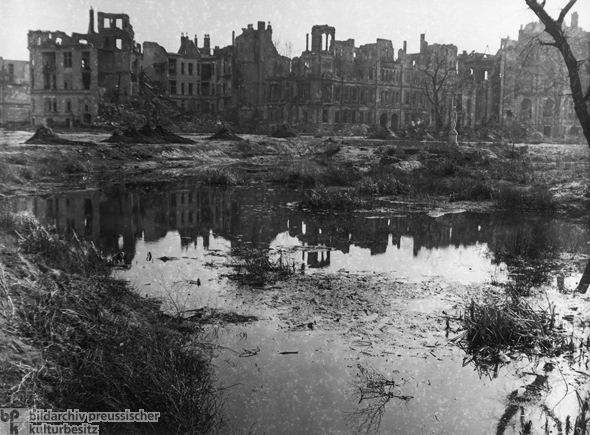 Berlin, 1945. Print from original negative. 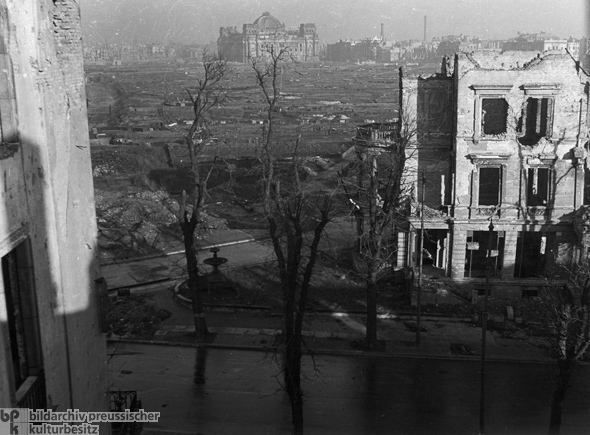 Photograph of the destruction around the City Palace. 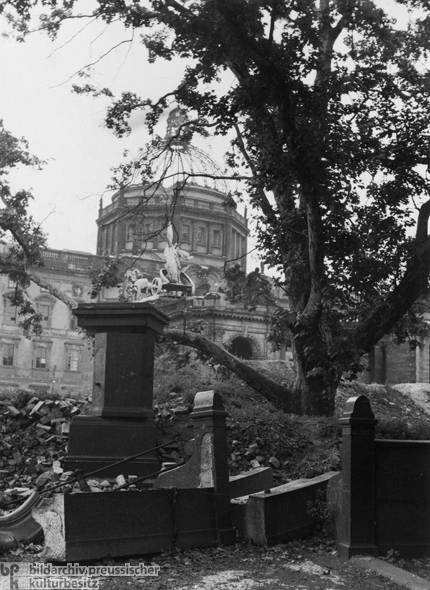 A sycamore tree is buried under the rubble in the foreground; the shell of the palace’s destroyed cupola can be seen in the background. 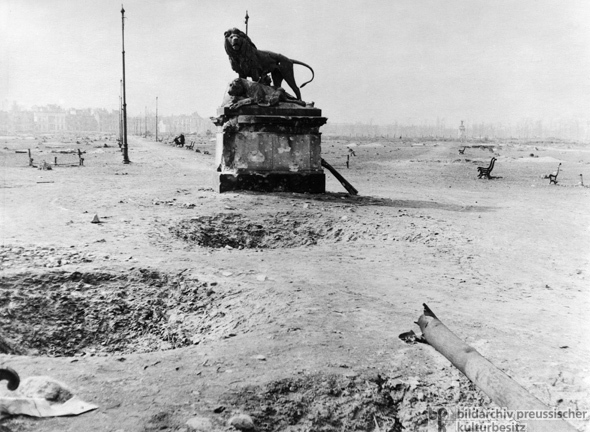 Wilhelm Wolff’s (1814-1887) sculpture Lion Pair with Cubs (1872) punctuates the desolate Tiergarten landscape. Shell holes can be seen in the foreground. 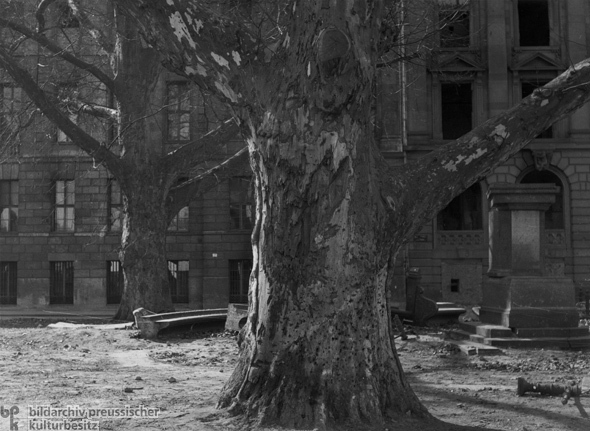 Two bullet-marked sycamore trees in front of Darmstädter Bank on Schinkelplatz. Scorched tree trunks behind the main building of Humboldt University, Unter den Linden. 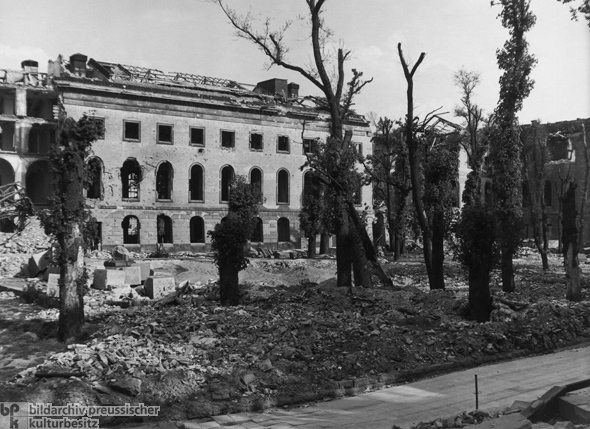 Ruins in the Tiergarten Quarter near Rousseau Island. View from Kemperplatz across the Tiergarten towards the Reichstag. Berlin, 1946. Print from original negative. 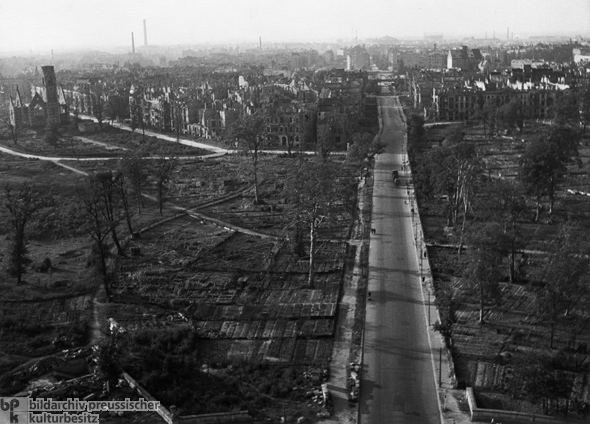 From the Victory Column: view of Altonaer Straße and some vegetable gardens in the Tiergarten. Berlin, 1947. Print from original negative.